Sometimes I'll go on a binge and buy a variety of different bars from a new manufacturer at the store, rush to do the first review and then totally forget that I have the rest of the bars saved at home and ready to review. 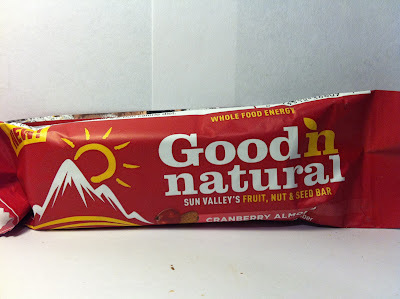 That's the case with this Good 'n Natural Cranberry Almond bar as it sat unopened in my house for a couple of months before I finally got around doing this review. 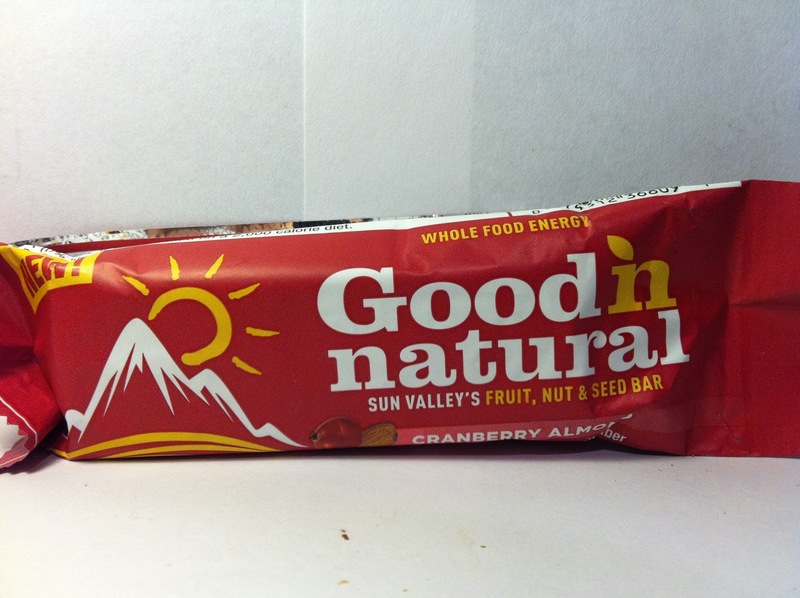 In my initial review of their Peanut Butter bar, I was not overly impressed, but gave it a BUY IT rating because it was a decent enough product that it was worthy of a purchase. We'll see what happens with this one. As with the last bar, I picked this up at Kroger on sale for $0.99 and it comes it at 2.0 ounces with 230 calories and ten grams of protein. My first observation upon ripping this open was that it had a strong smell of peanut butter, but my nose let me down because after looking at the back of the package, I realized that was not peanut butter but instead was almond butter. Close enough, I guess, but it did have that strong smell of that almond butter and also of cranberry as well, so it was off to a good start as I find both of those things quite appealing. 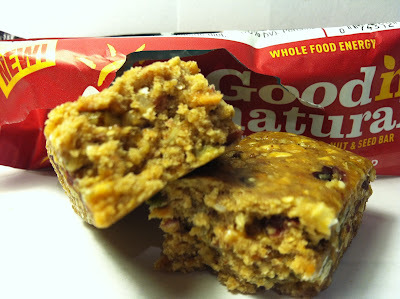 As I examined the bar more closely, I could definitely tell that this was a fruit, nut and seed bar because there were a ton of ingredients (almonds, apples, cranberries, walnuts, pumpkin seeds, oats, etc.) spread plentifully throughout the entire bar and that was another nice thing. With regards to smell and visual appearance, this bar was off to an encouraging start. The encouraging start was tempered somewhat as I took my first bite though as all the flavors didn't quite live up to the promise of their smell and visual appearance. That said, this was still a tasty bar as it was both soft and chewy, which is something that I did not expect at all. The almond butter provided a mild taste, but added a sticky texture to the chew and the cranberries brought a nice sweet kick to the flavor. One thing to note was the beginning of each bite had a strong taste of almond butter and that faded the more you chewed and that's where the cranberry sweetness took over and it was that sweetness that saved this bar, because if it wasn't there, this would have been entirely boring as the other ingredients were not really discernible and just added to the mix as a whole. Buy It or Fly By It? Like the Peanut Butter bar, I will give this a BUY IT rating for the same reasons. While not the world's best bar, it makes for a nice snack or quick meal to get you through a busy day. Plus, it's cheap and if you can get something remotely flavorful for a dollar or less, you've got something worth purchasing in my book. Also, it's all natural (woo-hoo! ), so it's one of the healthier options out there as well and that's never a bad thing.